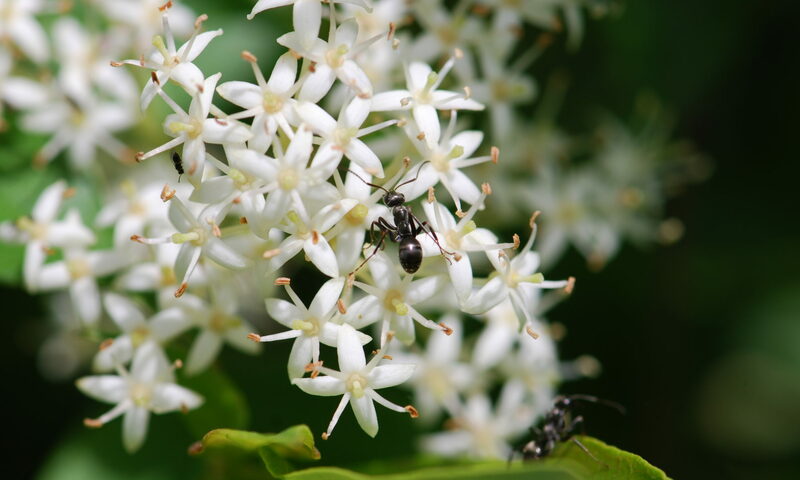 Lately I have been wishing I had more time to work with ants (or play). Until then, here’s a few photos from two weeks ago. 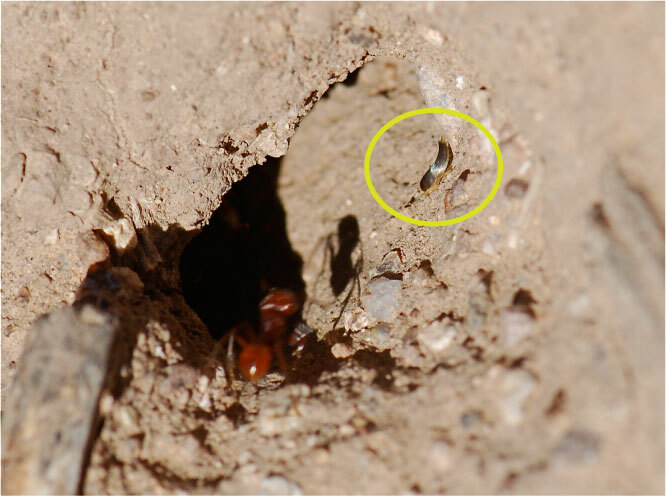 See the shiny insect hanging out in the entrance of the harvester ant mound? This is a bigger silverfish (order Thysanura) than the ones I found previously with fire ants. Ah, now you know my secret! Those silverfish are great- I’ll have to keep an eye out for them. Do they serve any purposes with ants’ homes? A few species of silverfish are like the beauticians of the ant world. Have you heard of fish, like the cleaner wrasse, that approach bigger fish to clean off parasites and dead skin from their clients’ bodies? In the same way, these silverfish come up to ants and clean their outer surface. As with the cleaner fish, the ant client may endure a nip or two in exchange for a thorough cleaning. The silverfish probably also gets a share of the ant’s meal as payment. 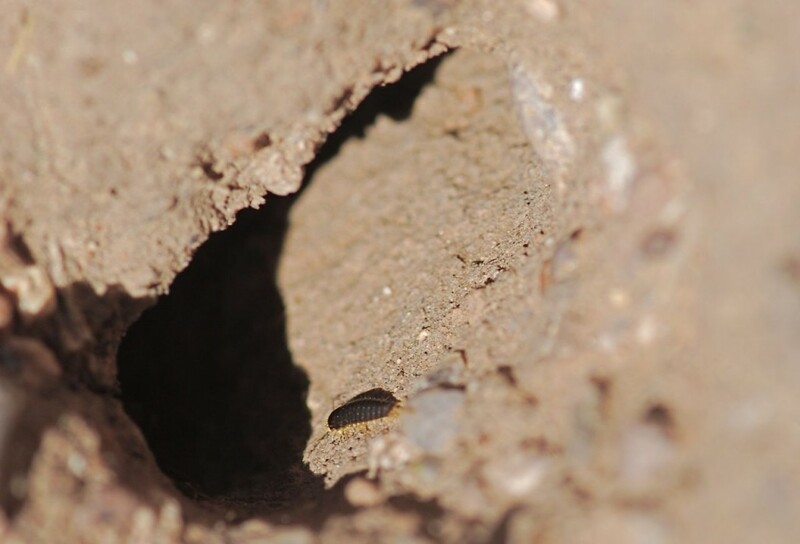 The silverfish may also be housekeepers, eating any spills or leftovers in the ant nests. 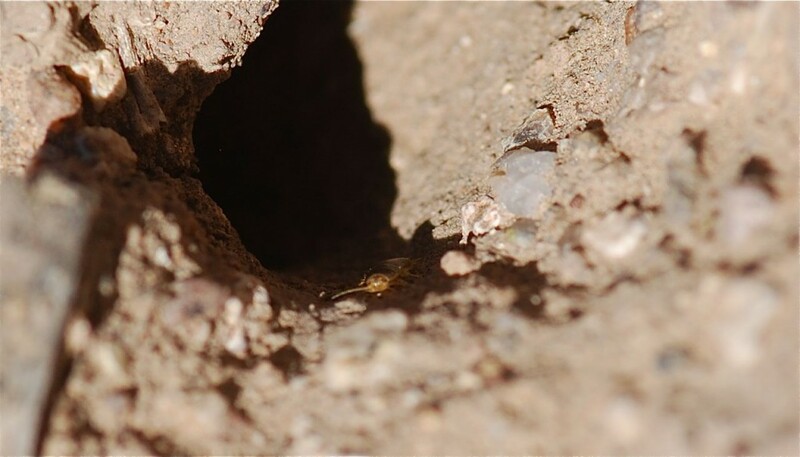 Myrmecophile silverfish that live with army ants are known to follow their hosts as they move from place to place like tiny dogs following their masters. I’m not 100% sure this particular one was a myrmecophile, because it seemed to scamper away from incoming ants. 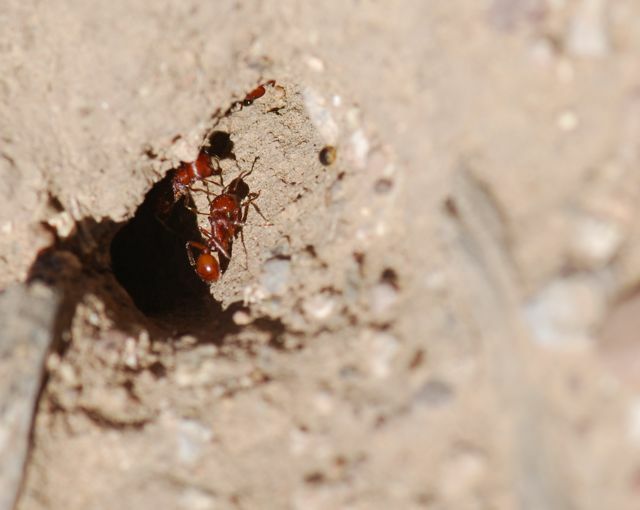 But the ones I found with fire ants were definitely interacting with the ants.